Blu-ray support and a great price make this a fantastic home media centre. 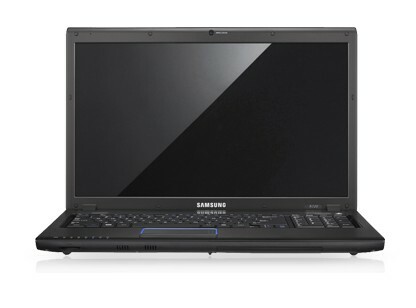 Samsung was the first manufacturer to release a truly affordable Blu-ray laptop and has continued this trend with such machines as the R720. Only its limited mobility may deter some buyers, but as an affordable multimedia centre, this is one of the best. 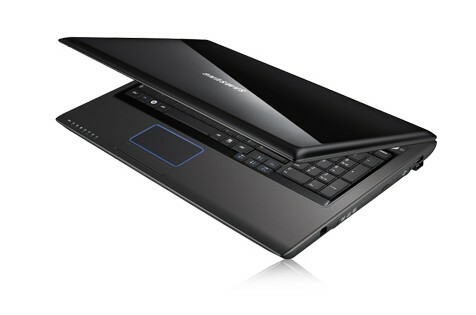 Samsung boasts that its R730 laptop is ''loaded with style and packed with powerful features.'' Although the Samsung R730 is more well-suited to editing office documents and web browsing, it's still happy playing HD video and can also handle some games. We're impressed by its build quality and the choice of materials, which make it comfortable to use. It deserves a better screen and more ports than it currently has. A comfortable and usable desktop machine that outperforms the competition. 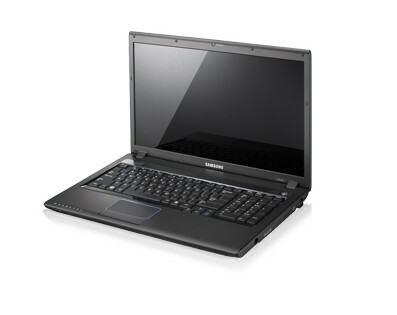 Samsung's R series features no-nonsense laptops that aim to combine comfort with all-round usability. The R720 manages to do just that and, while it isn't the most powerful machine, those after a desktop replacement system at a good price will find plenty to like. While not as powerful as the Acer Aspire 5739G-654G32MN or Mesh Edge15 TT, the Samsung R720 is a solid desktop replacement system that will carry out most of the tasks asked of it without issue. It's also very comfortable, usable and well priced. We liked the look of the 17.3-inch Samsung R720 when it cropped up in Crave back in June, but that was a high-end model with a Blu-ray drive and ATI Mobility Radeon HD 4650 GPU. The first model in the new range to arrive for review sits more towards the entry-level end of the spectrum, but, at around just £600, it still promises to be a decent desktop-replacement laptop. There's very little to fault with the Samsung R720. 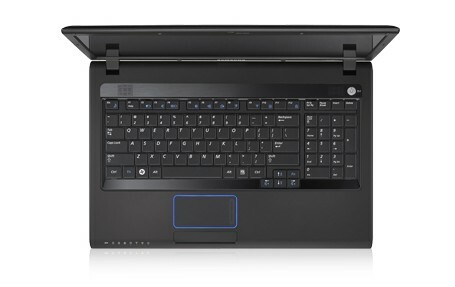 Attractive and packing decent components, it offers excellent value for a desktop-replacement laptop. Its 3D graphics performance is its only real weak spot, but it still offers enough oomph to keep casual gamers satisfied. The 17.3in screen looks good and, despite Samsung's decision to go with a Pentium Dual Core processor, the R720 returned some decent benchmark scores. Perhaps most surprising was the 3D performance afforded by the Radeon HD 4330 graphics card. Yet again, though, we’re dismayed at Samsung’s decision to leave out 802.11n wireless, while some of the keys losing their texture so quickly was also a concern. However, at £599 it's very reasonably priced for a 17in laptop. If you can forgive its minor flaws, the Samsung R720 is a decent, albeit relatively low-powered, desktop replacement. At £599, the Samsung R720 packs in a lot. Sure, the Pentium Dual Core processor might put some people off, but the fact is it really doesn't impact performance too much. And although the Radeon HD 4330 graphics card won't be up to high-resolution, high-detail gaming, it's far better than the integrated graphics you usually get at this price. If you want a 17-inch laptop that offers decent performance and won't break the bank, Samsung's R720 comes highly recommended. The R720 has a bright 17in widescreen display that uses a 16:9 aspect ratio. This is used by many TV shows and films, so you will see fewer black bars at the top and bottom when watching video. It also makes the entire laptop noticeably wider, which is one reason Samsung has been able to fit a numeric keypad in. A good alternative to a desktop computer for many people. ATI Mobility Radeon HD 3430: Entry level low end dedicated graphics adapter with slower clock rates than the HD 3450. Only some 3D games with very low demands are playable with these cards. » Further information can be found in our Comparison of Mobile Graphics Cards and the corresponding Benchmark List. 80.07%: This rating should be considered to be average. This is because the proportion of notebooks which have a higher rating is approximately equal to the proportion which have a lower rating.